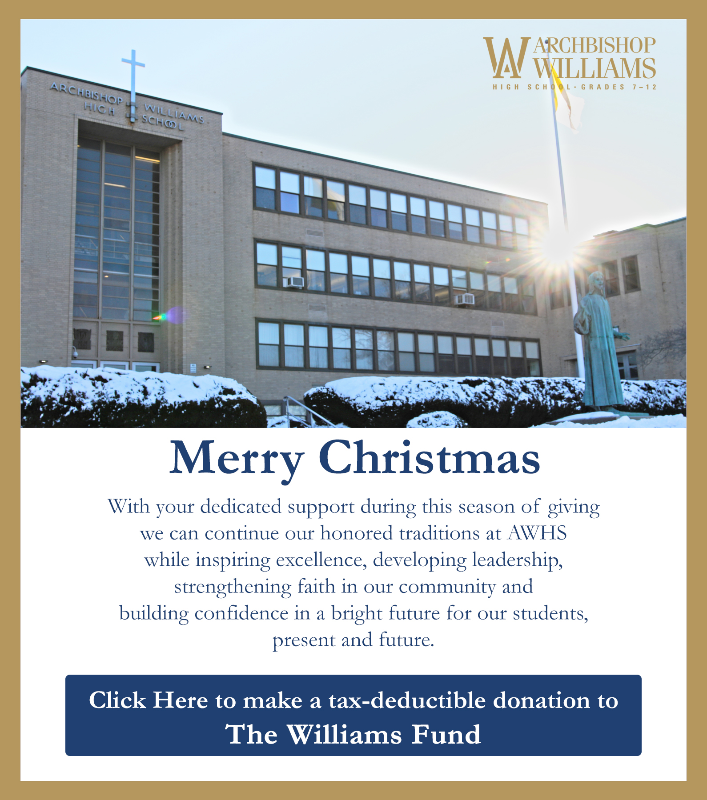 Students applying to Archbishop Williams High School must apply online. Parents will need to create an account in order to submit their child's application. Once the application is submitted, parents will be able to re-login and see the status of the application package (i.e., have all the necessary steps been completed and documented). All students for the 7th and 8th grade must submit our Transcript and Discipline Form. This form should be completed by the applicant's parent or guardian then given to the applicant's teacher, principal or guidance counselor. The school will complete the form and send it it directly to AWHS. All students for the 7th and 8th grade must submit our Teacher Recommendation Form. This form should be completed by the applicant's parent or guardian then given to the applicant's teacher. The best way to learn more and see more is to sign your child up for a visiting day. Your child will be welcomed to campus by a current student, attend classes, and witness the strength of our school community. The Visit runs from 8:30am - 1pm and includes lunch in our newly renovated cafeteria. Students will also meet with campus leaders regarding after-school athletics and activities. To schedule a visiting day, please contact our Admissions Director, Michela Schuster, at 781-535-6051, or email Mschuster@awhs.org.